Click here to attend, share and invite your friends to the event! Buy tickets at the bar or by clicking this link! 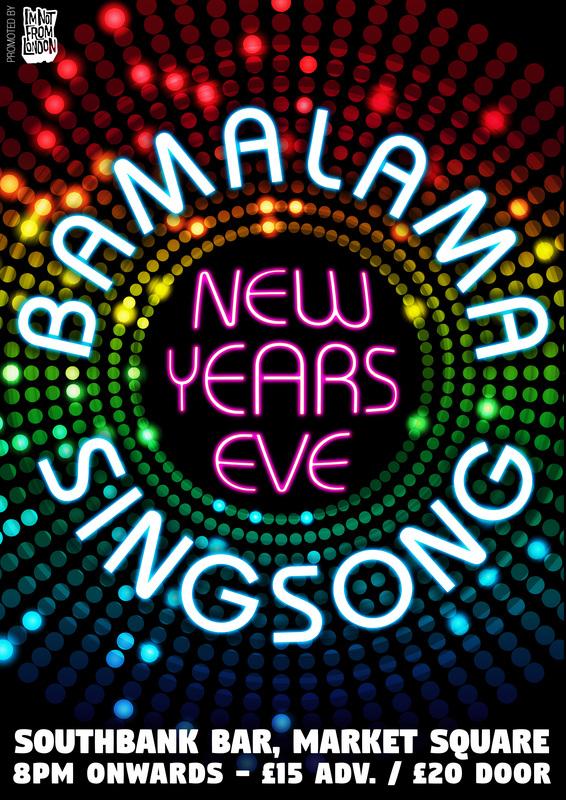 We’ve had such an amazing year, we’re so looking forward to celebrating it with you, we’ll be playing your favourite tunes followed by our own superstar DJ’s playing until 2.00 a.m – Bama Lama Sing Song-ers get your tickets in now, this is gonna be a big one!!!! The crowd sing the songs. We’ll have some extra special ones for this night too! Big smiles, hugs, bad dancing, angelic voices, lots and lots of drunken hilarity, club night afterwards! Get your tickets physically from behind the bar (coming soon at The Southbank Bar – Nottingham City) or online through Gigantic Tickets here! Subscribe to our mailing list and be kept up to date on all I’m Not From London‘s awesome gigs, releases and special offers/competitions/news!